Most introverts have really a lot more to say. Charlie (Logan Lerman) rarely participates in life. You'll get to know him and what happens his life as he writes to his anonymous friend. 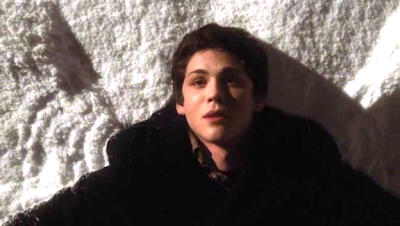 Lerman did a good job trying hard not to be a loser, shining ever so brightly as the low-key "new" freshman kid. Line That Best Summarizes His Character: "I didn't know anyone noticed me." A girl's smile is never simple not cheap. I can honestly tell you I saw none of Hermoine Granger in Sam (Emma Watson), not even an accent. Sam is the pretty senior and Charlie's crush at first sight. Watson should be proud of this role and her Rocky Horror stint here while she's at it. 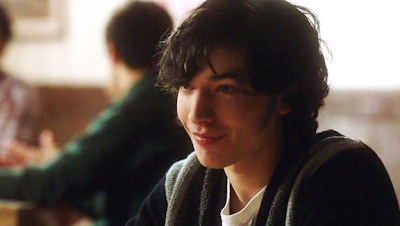 Line That Best Summarizes His Character: "I just want to make sure that the first person who kisses you loves you." One must have at least one queer guy best friend. Patrick (Ezra Miller) is the best. He had me at his first scene. The tiring out-and-proud-gay and closeted-gay relationship wasn't tiring at all here because of Miller's brilliant performance. His face is androgynous and he totally nailed the confident non-flamboyant gay. Line That Best Summarizes His Character: "Look, my name is Patrick. Either you call me Patrick or you call me nothing." It's so nostalgic of the 90s that you have Paul Rudd and Joan Cusack as great supporting cast, too. Younger people might have little idea about the songs, but it's spot on walking-with-karaoke-on-shoulder kind of thing. But I do hope the youngsters have an idea of the books mentioned, though. Some say it's exactly like the book (same title), but I haven't read it. I suppose if you get the writer of the book to write the screenplay and direct the movie, then that would be the end result. Nonetheless, I love the story. It has drama and is deep (mostly for teens, but still applicable to grown-ups) but you don't really notice it because it's funny, too. The Perk of Being A Wallflower gets an eight out of 10, for all of the above and quotable quotes of the 90s and more.